"A huge green-and-gold animal extravaganza, Ben Hoare's An Anthology of Intriguing Animals integrates wildlife photography with exquisite illustrations [...] Its lively text strikes a perfect balance between the scatological (rhinos leave each other messages in their poo) and the fascinating (hippos secrete a thick pink sweat that acts as sunscreen)." 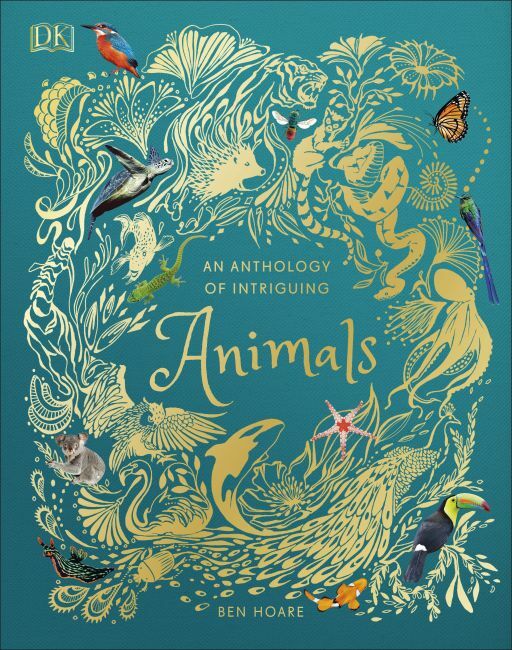 ""An Anthology of Intriguing Animals looks like a superstar. It looks deluxe...best kind of heritage publishing - it's celebratory, but not designed to languish on a shelf." - Imogen Russel Williams"
"Gilded edges, gold foil details and photo-led spreads make it a delight for children of all ages to flick through and, as with all DK educational books, it's packed full of fascinating facts." "This book is a celebration of animals around the world"
"The pick of the Christmas bunch ... stunning ...illustrated with wonderful quirkiness." "A substantial reference book from the popular DK range which would make an ideal Christmas gift." "Perfect to dip into and to make you marvel at the wonderful world of animals"
"The gold-foiled cover gives it an added magical touch as a gift for a little one"
"A wonderful book for children"